We created this brand for ourselves – to have exactly the gear we wanted to have and after being and working in this industry for decades. Our main priority is really to have happy customers and offer the best possible product to them. Therefore we have decided to do things different than the other brands even if it might not be the most profitable way : Personal Identification with the brand : we are the only brand where all of the product models are 100% inspired, designed, shaped and tested by the same person. Patrik’s passion for the sport drives his endless quest for constant improvement and performance is the outcome of his hard work and dedication. It is really only us two standing behind this brand we will not be able to grow much bigger than we are right now. But size was not our goal – we want quality and rather less but happy customers. Construction : We try to offer the best construction possible. Every model is analysed according to its range of use, and individually built to the requirements we set with the latest high standard composite technology – regardless of production costs. Therefore we do not offer the same model in different technologies as this simply makes no sense. Nothing is more frustrating than travelling to the other side of the world, finding a perfect spot to sail and ending up sitting on the beach because the gear broke. Because our construction is so long lasting we do have customers that come back and say “sorry” that they don’t buy new boards as theirs old ones are still perfect after years! Again not really financially clever from us but exactly the feedback we work for. Timeless : We want to offer long lasting products to our customers and therefore won’t alter them just for the sake of it. We only replace a model if the new prototype is much better. This coupled with our monochrome ‘bionic graphic’, which gives our boards their unique neutral look and matches any sail gives you a truly timeless piece. Patrik and me were both on the PWA tour for a very long time – changing gear every year again. It takes time to get used to a board or sail – even if you are on a very high level. You have to find the perfect combination of fin, sail, board and this all over again for every spot you sail. By the end of the year you start knowing your gear quite well – and just then new gear comes out and you are forced to change your setup and basically start testing all over again. It’s not that we don’t constantly develop new products but we do promise to not change board models if we are not persuaded that we have found something better. Windsurfing is simply our life. Patrik and me both focused on this sport for over 25 years now. First as a normal consumer, then as professional athlete, tester, shaper, windsurfing instructor, team manager and finally 8 years ago we made the step and started our own brand. Patrik is on the constant pursuit of excellence – nothing is ever good enough! He still has endless ideas about how to improve shapes and also the constuction technology. For me windsurfing is everything – it enabled me to travel the world, to meet so many nice people, learn different languages, to always continue to improve my skills on the water. I hold an university degree in business but to be honest I think “windsurfing” was the much better school for me. This sport has given me so much – I feel it’s a bit payback time now and I hope I can give something back to the sport and help other young talents to be successful as well. 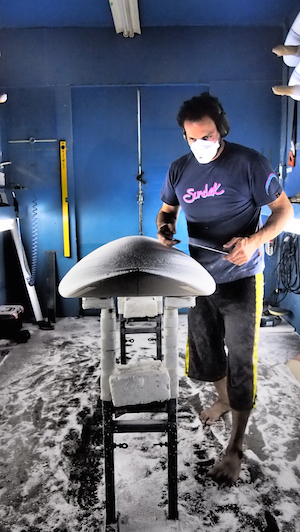 Patrik and me both really love windsurfing – that’s what we are driven by – it’s our life and our brand is simply us. Our goal is to constantly improve our products, design and construction but also to promote the sport of windsurfing and help especially young people to get into it. At the moment we are still building up our brand and it takes a lot of energy to do so. Hopefully in the future we will find more time to follow different projects on the side. For example in Switzerland we already were able to support a youth windsurfing team that is constantly growing and inspires other young children to try windsurfing. A similar group just starts in our second chosen home in Western Australia. For me personally there is nothing more rewarding than some eyes glowing with amazement after just getting planning for the first time. For Patrik the vision probably lies on the technical side by offering completely new and revolutionizing production methods and constructions that will really make a difference in performance and especially constuction accuracy. I think we are both a bit old fashioned but we really believe in long-time partnerships and try to always consider this aspect in business as well. For us it’s very important that the brand represents us. We want to know the people working with us, for us and especially the consumer buying our product. Naturally this is not always possible but we do try to stay as close as possible to our end consumer. We aim to educate our customers so they know exactly what they’re buying. One of our main priorities is to prove the quality of our products in order to build a trusting relationship with every single customer. Windsurfing is the greatest sport of all! One main thing that always facinates me so much and keeps me sailing all the time is that you constantly improve – even after decades as a pro, after 29 world titels and two speed record you can learn every day on the water something new. This sport is trully endless and unlimited. But with it naturally quite complicated. Gear, Rider and conditions have to work together. 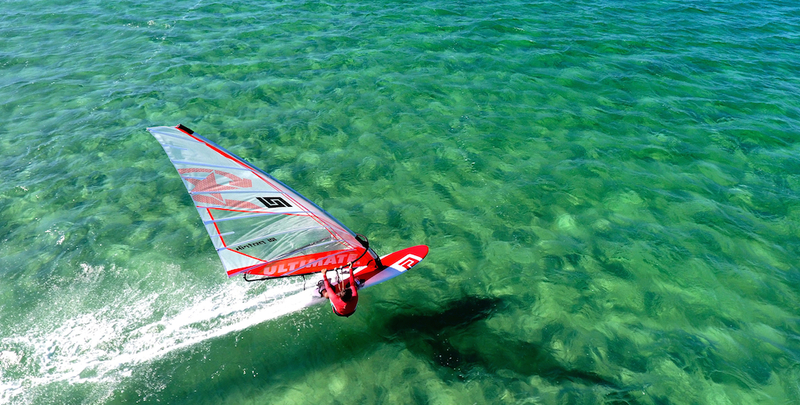 The weather conditions you can not change – so simply make the best of it and go windsurfing whenever possible. With the right attiude even a super gusty day is instructive. Your skills will improve with time spent on the water – so basically follow rule. 1 : Go windsurfing whenever possible. And for gear : as we mention above it’s so important to get to know your gear that I can just simply recommend rule. 1 again : Go windsurfing! With whatever you have and learn to adapt and make it work in all conditions. And then you are ready to do your own tests. One of our main goals is that we try to give every customer the best fitting gear for him / her. We really try to encourage buyers to test for themselves. Quite a bit of “innovation in windsurfing” is just a simple marketing strategy and does not help the consumer to really progress. Best you try – give us as much feedback as possible and then I am sure we can find you the perfect board in our range.